This course introduces a substantive conception of critical thinking and how to infuse this conception into your instruction. It fosters understanding of how to teach critical thinking skills to students through any subject or discipline, and at any level of instruction. In this course, you will be introduced to the Elements of Reasoning, Universal Intellectual Standards, and Intellectual Traits through readings, discussions, and practical application activities. You will redesign lessons and strategies using the concepts and principles of critical thinking. You will practice strategies for Socratic discussions. 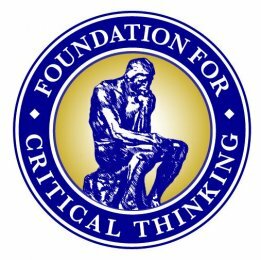 You will help students learn to consciously use critical thinking concepts and strategies in learning and in their lives. You will redesign and teach lessons you develop for your own classes and receive credit for doing so! Using the Elements of Reasoning and Intellectual Standards to create critical thinking lessons in your subject area. -Designing instruction that fosters explicit critical thinking. Using the Elements of Reasoning and Intellectual Standards to think through intellectual, academic, personal, social, and political problems. Providing your students with the intellectual tools they need to engage in fairminded critical reasoning. Designing and conducting Socratic discussions using the concepts of critical thinking. Helping students learn to think within the key concepts of each subject and discipline. CT700F19 CT700: How to Infuse Critical Thinking Into Your Instruction $942.00	 Qty. CT700F19N CT700: How to Infuse Critical Thinking Into Your Instruction $1,042.00	 Qty.